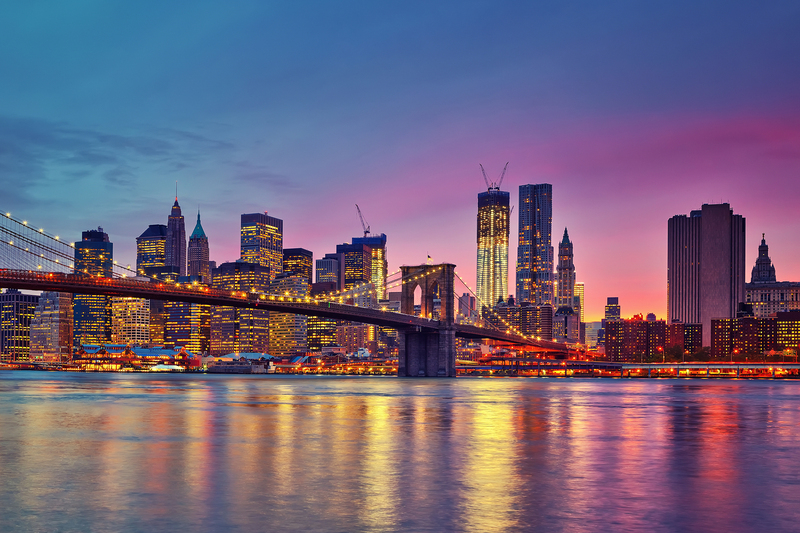 According to many indicators, the Big Apple is one of the most expensive cities in the world, but wages are also high here, and there are plenty of opportunities to fulfill ambitions in various scopes. Due to this chance to do one likes and live worthily, the largest American city is getting bigger and denser every day - here people come to live and work from all over the world. It is confirmed by numerous national communities, ghettos and expat communities. 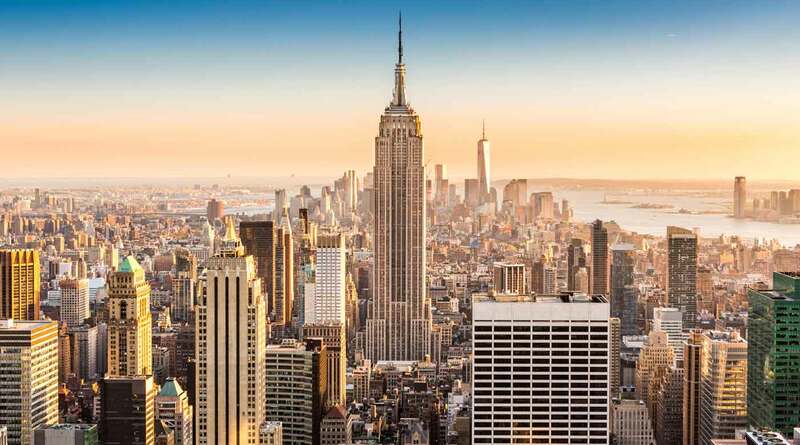 The Americans themselves do not move to New York often - for a "one-story America" with a measured way of life and a barbecue in the backyard, the Big Apple is too noisy and fussy, that’s why even good salaries are not very appealing to people from other regions of the country. Speaking about the income of New Yorkers, it is considered not monthly level, but hourly or even annual - it is historically accepted to evaluate your work and prosperity in the USA. Therefore, it is difficult to talk about some kind of mandatory and regulated by the state monthly minimum. At the same time, if you still divide the average annual earnings of an average citizen by 12 months, we will get an amount approximately equal to 3500-4000 dollars after deduction of taxes. But where and how this money goes, on the territory of the Big Apple - here we just can not do without a conditional tens. Transportation costs in any metropolis are quite significant, so in the lives of New Yorkers they also play an important role. Buses and the metro, enveloped by its incredibly developed chain, not only the city, but also the suburbs, are about the same and our ten is only 3.5 tickets. If we are well thought out and buy a reusable travel card, the price will be somewhat lower, but more than 4.5 tickets in any case can not be counted. That's why many citizens who move with a couple or a company of three or four people prefer catching the legendary yellow taxis. 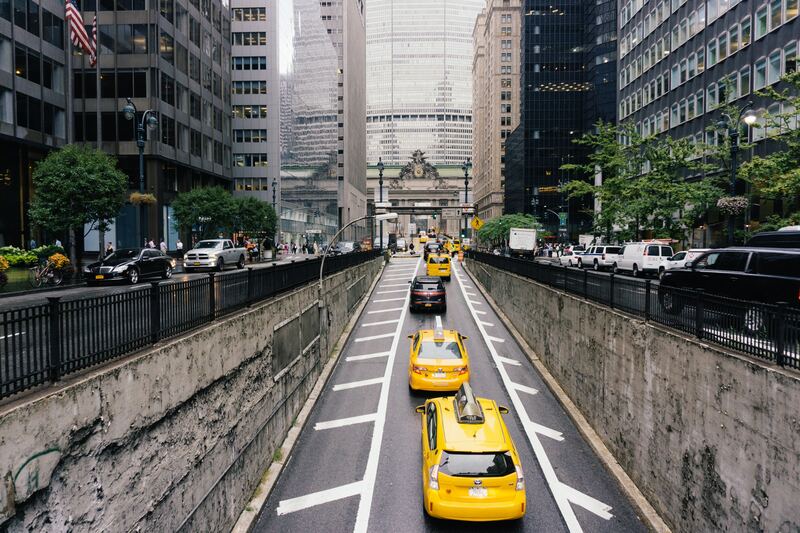 If the train is not very long, say for Manhattan, or from one area to the next, it is much cheaper and more comfortable to get there by these ubiquitous taxis. The average train will cost 12-15 dollars and this fact, do not say already about convenience, makes the yellow cars not only beautiful and atmospheric, but also very practical. Fans of renting cars should know that the approximate price for a liter of gasoline is almost a dollar. Concerning the leisure, though New York is considered as expensive city, our ten dollars in the pocket is not a reason to despair, especially if you like museums and modern art centers. Many of them, even the greatest ones, such as The Metropolitan Museum of Art or the American Museum of Natural History, set for their guests "the recommended entrance fee". It can be thirty dollars, but if you deposit only 5 or even 3 dollars on the account, no one will say anything to you - silently they will break a check-ticket and let them enjoy the art. Just pay attention to the "free hours" or even "days", when you do not need to pay at all. Cinemas, theaters and nightclubs with our sum, alas, not for us, however we are in the city of magnificent parks! Many of them are equipped with free summer cinemas, where they spin good cinema and concert platforms and dance floors, where young bands perform. And who knows what is better - to give a lot of money for a mainstream artist's concert in a stuffy club or go to a free concert in the open air of the future American pop star? We turn to your favorite items: food and supermarkets. Here everything is also not so cool, given our budget, because usually only a cup of coffee in an average New York cafe costs 2.5-4 dollars, not to mention some dishes. 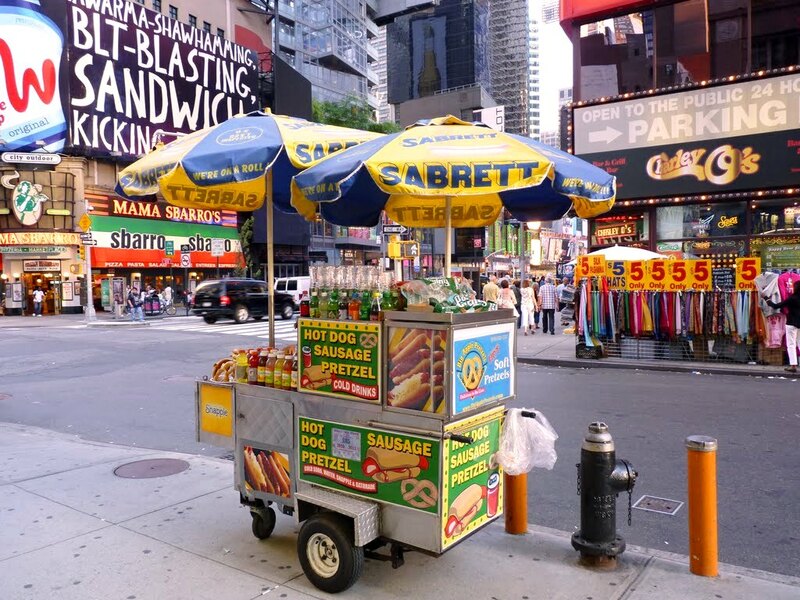 But let's not forget that we are in America - the capital of fast food and here it is customary to eat hot dogs, which the local call "frenks". For our ten dollars, we can eat three sausages in a bun and sauce, as usually one costs about three dollars. On the outskirts are even cheaper to come across. Just for ten dollars you can feed one person and burgers and French fries, the average price for a set with a drink is just about $ 10, and the supply chains themselves seem to be as much as the people. So do not let us starve noodle chinatowns, where, if lucky for our money, they will give us boxing with the delicious and fragrant all spices of Asia noodles. In general, starting from the high prices for public catering, eternally in a hurry and almost not preparing houses, New Yorkers know how to save money, finding special offers, certificates, food stamps, cheap wine tastings and free parties. In grocery stores and supermarkets, too, there is something to be surprised, since a bottle of beer costs, for example 4-5 dollars, not to mention strong alcohol. Even bread for our money can not be bought - the price for one position is about 3-4 dollars. Our amount is barely enough to purchase a kilogram of inexpensive meat or cheese - usually their price starts from 12-13 dollars per kilogram. But potatoes and vegetables can be bought enough - a kilogram of 3-3.5. Water is cheaper than milk, but also a lot - our $ 10 is only five liters, and if milk, then even less - three. But cheaply are snacks, cereals and chips, we can leave the market with large boxes of such dubious food. Viewing platforms of skyscrapers, city tours with a guide, sightseeing of ancient sights, walks on the ferry, thematic excursions, amusement parks - this pastime is very expensive, because in America, from all do serious business and industry. Unfortunately, ten dollars is not enough even for one to have fun or learn something new, but again - to the services of untroubled tourists there are various "free entrances", walks with local ones that show the city for free and many other entertainments. 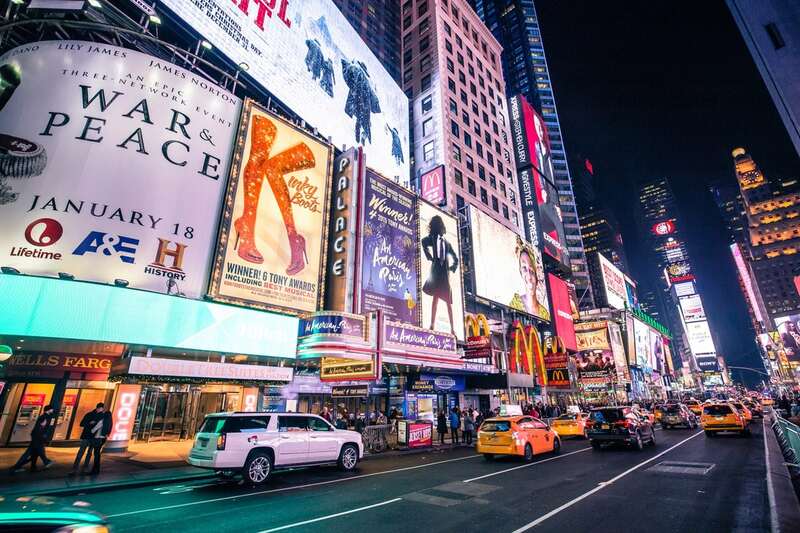 New York is huge and never sleeps, and so the choice of how to spend money here is simply gigantic, it's important not to forget about fantasy and remember that even a modest budget for a trip is not an obstacle - beaches, embankments, bridges with surveys, atmospheric quarters and art -objects nobody canceled. And all this is free, even ten dollars are not necessary! - Dinner for two with alcohol in an average cafe - not luxurious, but not in a snack bar, it will cost about 70-90 dollars. - 4-hour subscription to the Koni Island amusement park - $ 32, a movie ticket - from 15, a monthly subscription to a modest gym - up to 100. - Taxi from the airport of John F. Kennedy to Manhattan - 60 dollars. - Rent a one-room apartment in the usual area will cost about $ 2000, in the center - almost a thousand more expensive. - Communal expenses for housing in 60-70 square meters - 500 dollars.